The one bedroom executive self-contained apartments are equipped with large double beds, suitable for couples or the solo traveller. The beachfront apartments boasts a north or south easterly aspect and are located from levels 11 - 14. The north easterly apartment offers a large double bed, ensuite with large spa bath, ceiling fans but NO air-conditioning. The south easterly apartment offers a large double bed, bathroom with walk-in shower (no spa bath), and is air-conditioned. 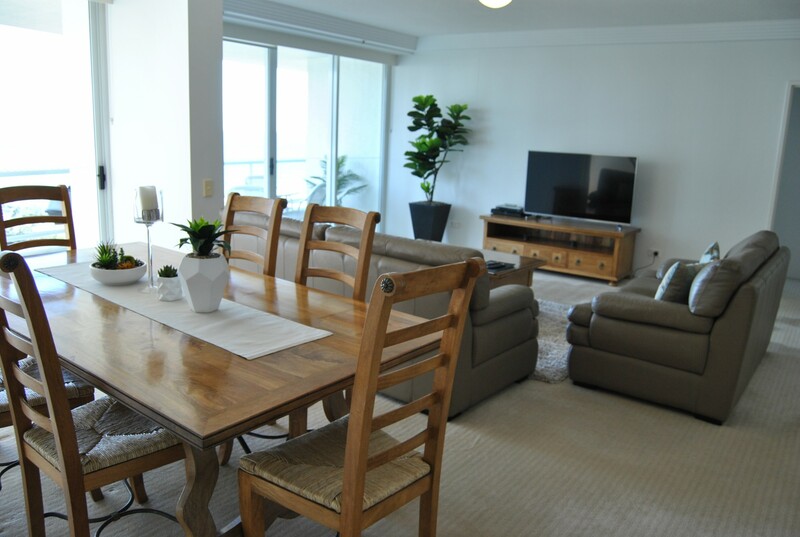 Each apartment offers spacious living areas, dining table & chairs, fully appointed kitchen, washing machine & dryer and large balcony with outdoor seating where you can enjoy the beautiful view of the Gold Coast beach. Pricing is based on up to two guests, no additional guests can be accommodated.